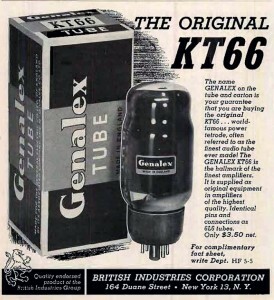 This entry was posted in Vacuum Tubes and tagged Genalex, KT66 by tubemaze. Bookmark the permalink. The best of the best in KT66. This tube is european version of 6L6GC and could be used in practically any amp that uses 6L6 tubes. 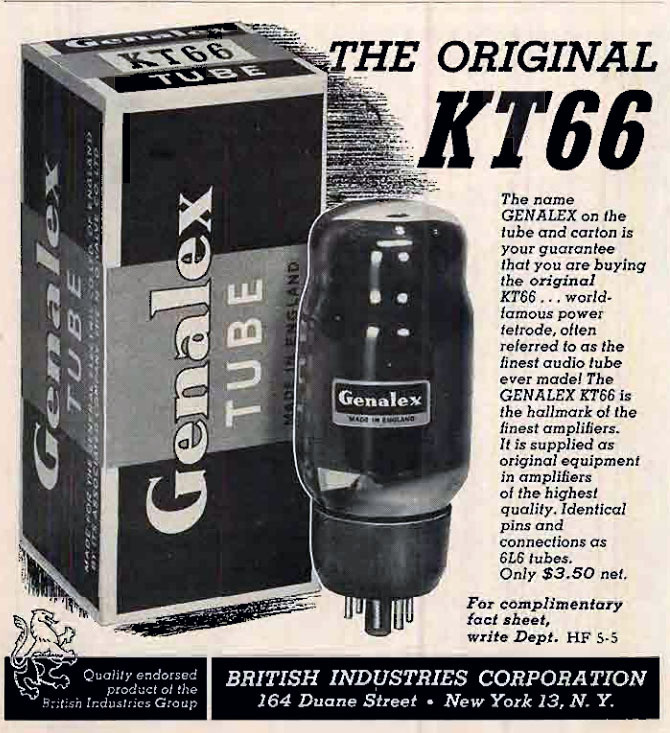 Very impressive looking tube compared to all 6L6GC tubes out there – the only competition would be 6L6G, but these couldn’t handle the same load as KT66. The sound of these tubes is very rich, creamy and luscious, but they are not as transparent as other 6L6GCs. If you are after vintage tone, these are definitely top of the line and highly desirable.